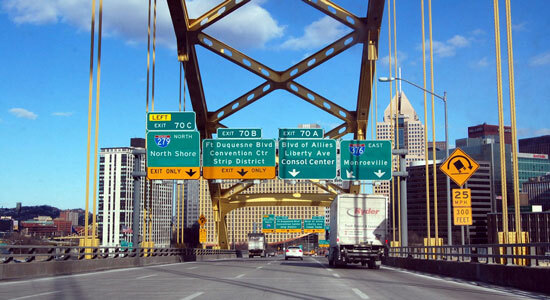 Whether you're a Pittsburgh native or an inquisitive visitor, you likely agree that the Steel City's roads are pretty confusing to navigate. We thought it'd be interesting to take a look at all Pittsburgh has to offer with its odd array of avenues, overpasses, intersections, bridges, and tunnels. As the story goes, downtown Pittsburgh was originally laid out in two grids: one running along the Allegheny River and another running along the Monongahela River. These two grids overlap at Liberty Avenue. It's at this Liberty Avenue overlap that things get confusing. On the northern part of the city – the grid that follows the Allegheny River – streets running perpendicular to the water are numbered streets (e.g., 7th St.). However, perpendicular to the Monongahela River the roadways are numbered avenues. This is why 7th Street becomes 6th Avenue at the intersection of Liberty. Try explaining that to your out-of-town guests. 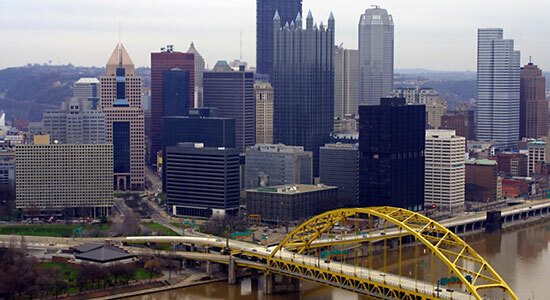 Pittsburgh drivers are also faced with the unique challenge of navigating the city's 446 bridges. That's right, 446 bridges. Driving on a bridge might not seem confusing, but Pittsburgh's bridges are often the cause of a problem we know as, "I can see where I need to go, I just can't get there." More troublesome than that is Pittsburgh's penchant for requiring drivers to cross 3 to 4 lanes of bridge traffic after emerging from a tunnel. At the same time, 2 lanes of traffic try to merge on your left – all this in less than a few hundred feet. Pittsburghers otherwise know this phenomenon as the Fort Pitt Bridge. Pittsburgh's topography makes for some interesting roads; it's been said by the New York Times that Pittsburgh is "the only city in America with an entrance." They're referring to the moment you exit the Fort Pitt Tunnel and see the skyline laid out before you. It's so impressive that it's been featured in a number of movies and television shows. Just don't get distracted by the view! Many major cities throughout the United States have interstates that encircle the city center. These are referred to as beltways. For an example of a standard beltway, look at Washington D.C. Typically, there are a number of exits along the beltway that feed directly into the city. However, Pittsburgh – true to its individualistic nature – does things a little differently. The major highways surrounding Pittsburgh – I-79, I-279, I-579, I-376, and (to some extent) I-76 – only offer a few off ramps that lead into the city proper. This means that you must navigate a fair portion of Pittsburgh's side streets and main roads in order to find your destination. There is a beltway system in Pittsburgh, although it uses a mix of federal, state, and municipal roads. It's not like one you'll see anywhere else. It's a color-coded system with the Red Belt as the outermost ring around the city (near Gibsonia). The colors follow those of the rainbow as the beltways get closer to the city. Here's a map of Pittsburgh's unique beltways. Driving through Pittsburgh offers a view into the quirks of local drivers. 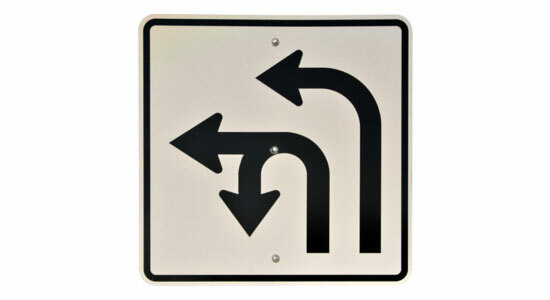 One thing many out-of-towners witness is a driving move called the Pittsburgh Left. This is essentially when a car, stopped at a red light, races to turn left as soon as the light changes to green rather than yielding to thru-traffic. While it's a staple in the area, we don't encourage it. It's led to a number of T-bone accidents and head-on collisions. Also, it's important to be alert for changing road patterns and odd street signs. Pittsburgh is home to some of the country's craziest intersections, often marked by traffic signs that are confusing or downright indecipherable. Sometimes these road signs are so oddly placed they can be covered by overgrowth and lead to accidents. Whether you're driving in Pittsburgh or anywhere else, car accidents can happen to even the best drivers. We know how frustrating accidents can be, especially if you've suffered an injury. That's why we're here 24/7 to get you the legal help you need. Contact us any time – day or night – for your free legal consultation.